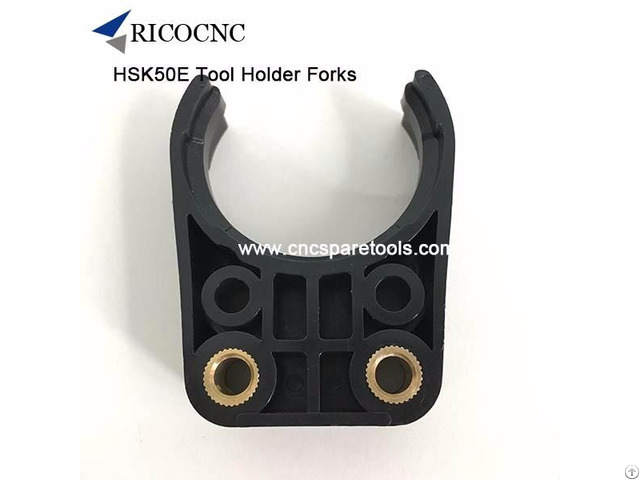 HSK50E Toolholder Forks ATC Tool Changer Grippers HSK E 50 Tool Clips for CNC Router This CNC tool gripper is for HSK50E toolholder use. 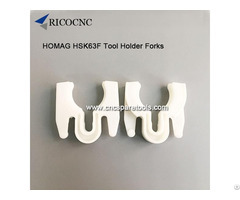 HSK-50E toolclip are available in stock for quick delivery. 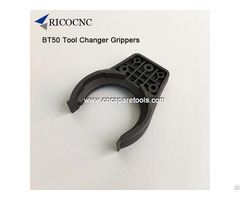 Rico CNC supplies high-quality CNC tooling system and spare parts; ISO tool systems, BT tooling systems, HSK tool system; tool holder locking fixture, ER collets, SYOZ collet, SK collets, collet wrench, router spindles, cutter bits, drivers and motors, etc . 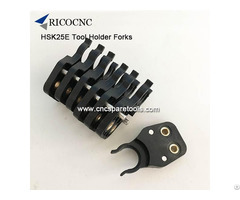 Rico is able to supply the cnc spare parts you need. Welcome your inquiry!